Ahead kicking f his first tour in 12 years later this year, Phil Collins is set to reexamine his resume collaborative musical work with a new box set. Titled Plays Well with Others, the 59-track collection arrives September 28 through Rhino. The many years Collins collabs are spread out over four discs, chronicling work from 1969 to 1982, 1982 to 1991, 1991 to 2011, and live work from 1981 to 2002, respectively. A quick glance the lengthy tracklist reveals the inclusion work with Brian Eno, Robert Plant, Paul McCartney, Annie Lennox, John Cale, Robert Fripp, Genesis and even Lil' Kim, among many others. "Some would say I've lived a charmed life," Collins said in a statement. "I've done what I wanted for most it, and got paid well for doing something I'd have done for nothing. Playing the drums. During that time I've played with most my heroes, most have become close friends. Over these four CDs you'll find a mere smattering those moments. I thank the artists for letting me put this CD together, no easy task!" 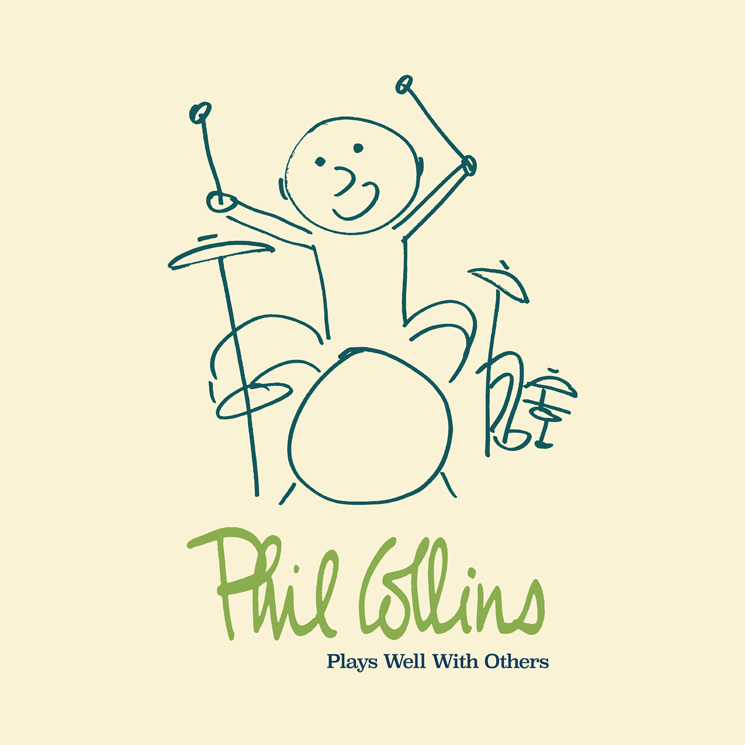 Plays Well with Others is available for pre-order here. Collins' "Not Dead Yet, Live!" tour kicks f October 5 in Fort Lauderdale. You can see all the dates here.